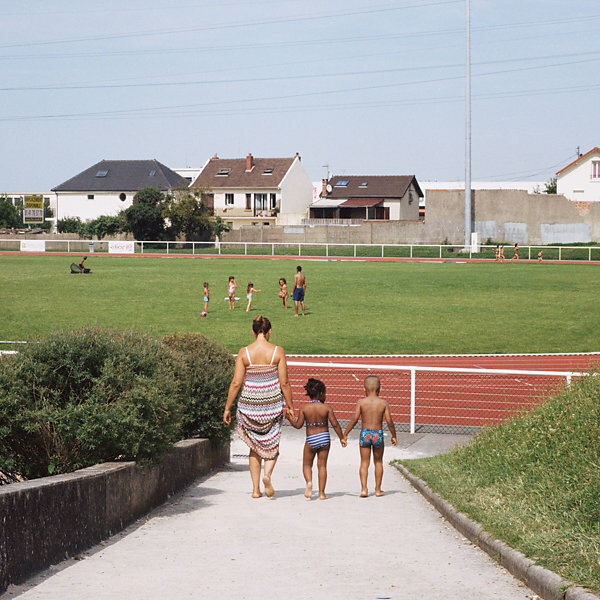 Enjoying the seaside dream even in city, is now possible in France. 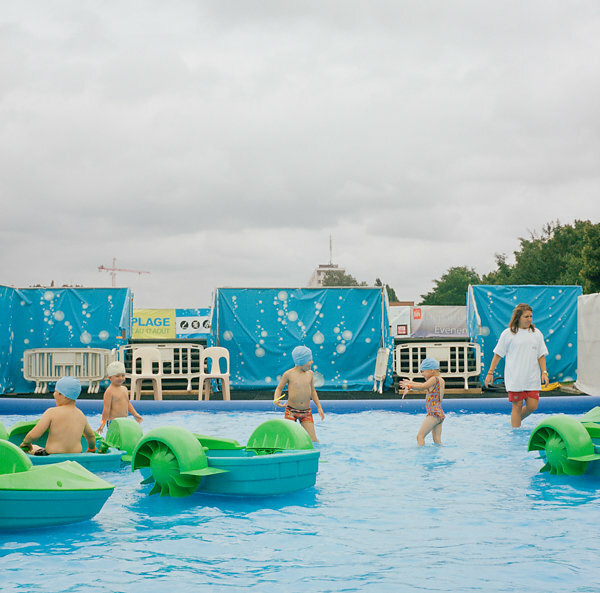 Since about a decade, the concept of urban beaches is developing. 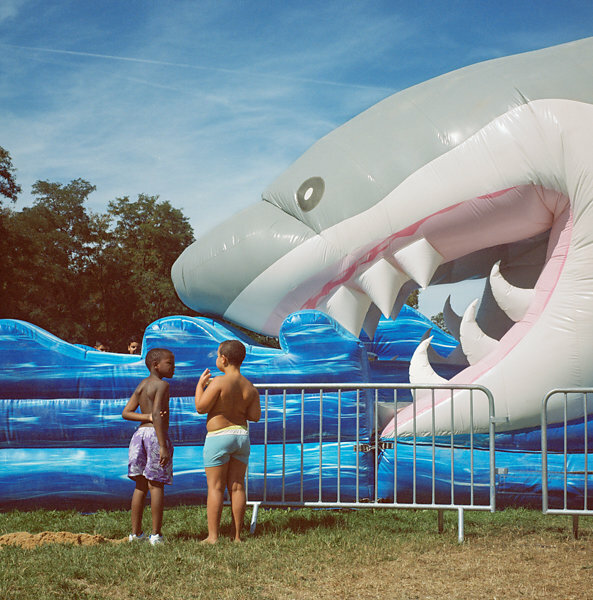 There, senses and borders become blurred. 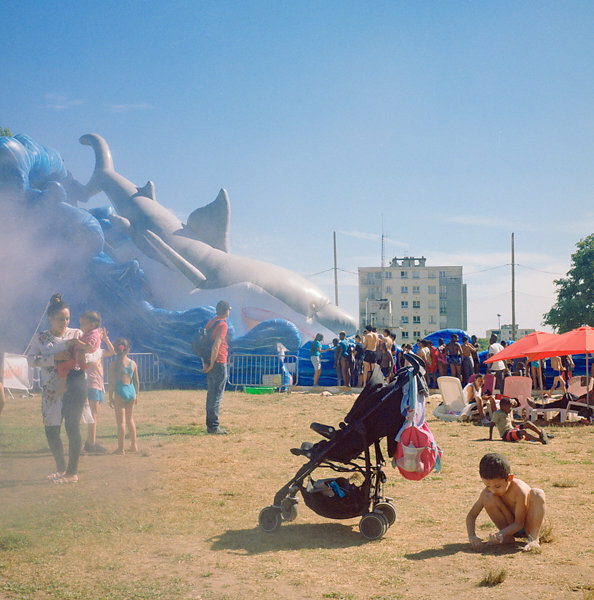 Welcome in this surrealistic places, where city congestion contrast with marine landscape and give you the feeling that you have a photomontage right in front of the eyes. 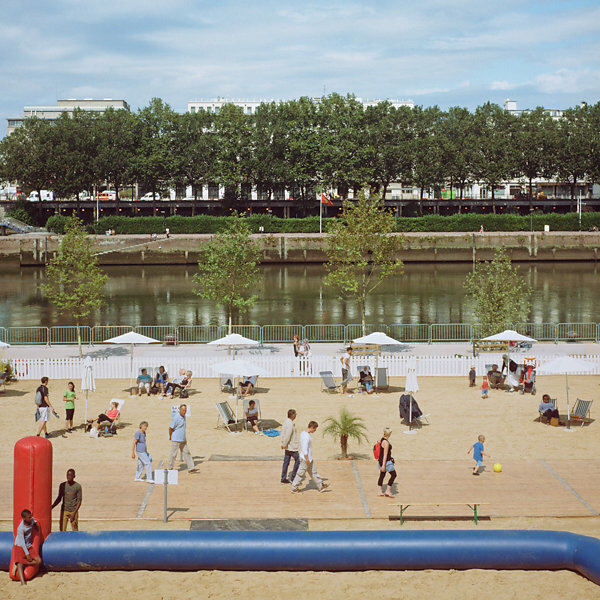 Paris Plage is the most famous urban beach but in fact, more than fifty places like that exist in France. And every year, new ones are created. 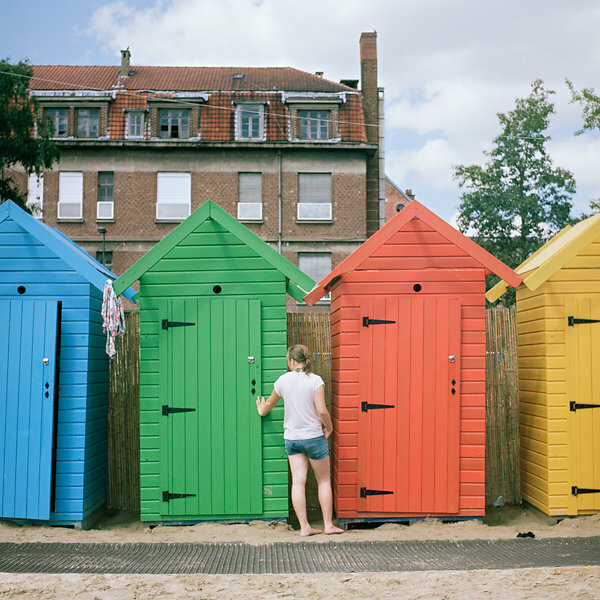 There, people find all the beach symbols : palm trees, sand, beach hut, water. Only one element miss : the sea. 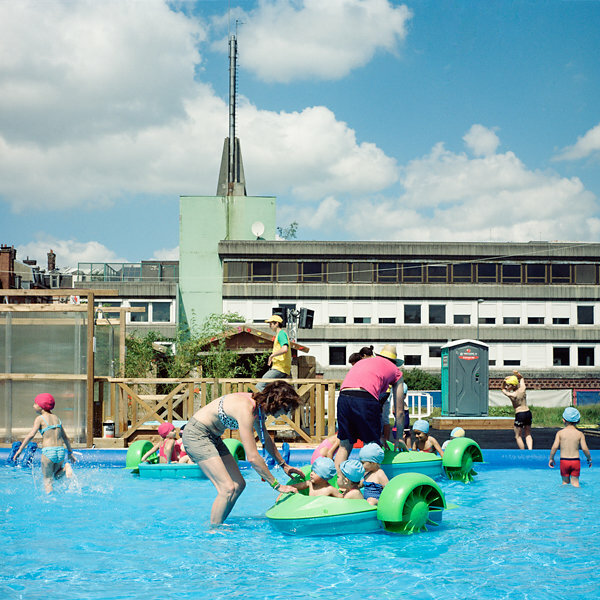 How urban beaches model the city and fit the urban landscape ? 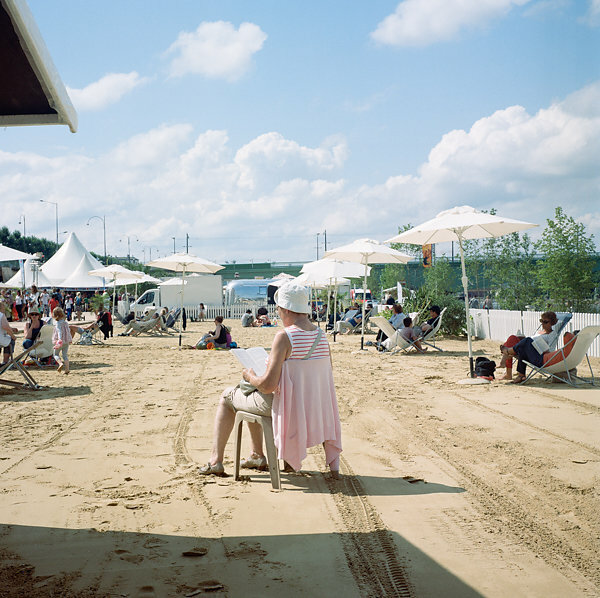 How this places are distorted, lived by the beach attendant ? 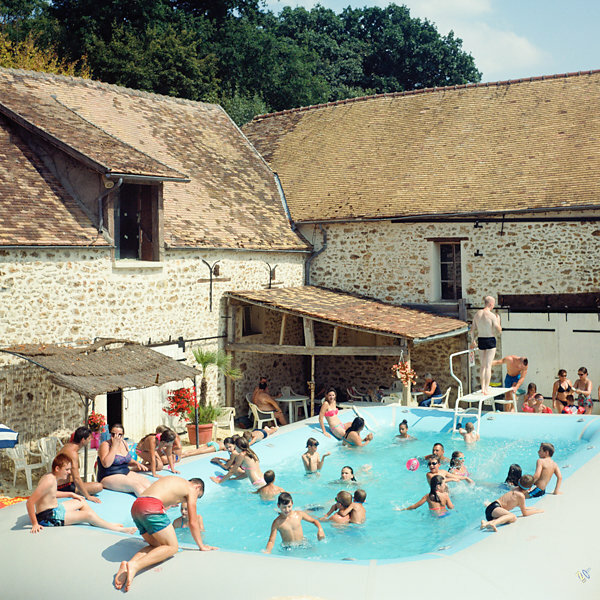 How people imagine, act, live this balnear wish far from the coast ? 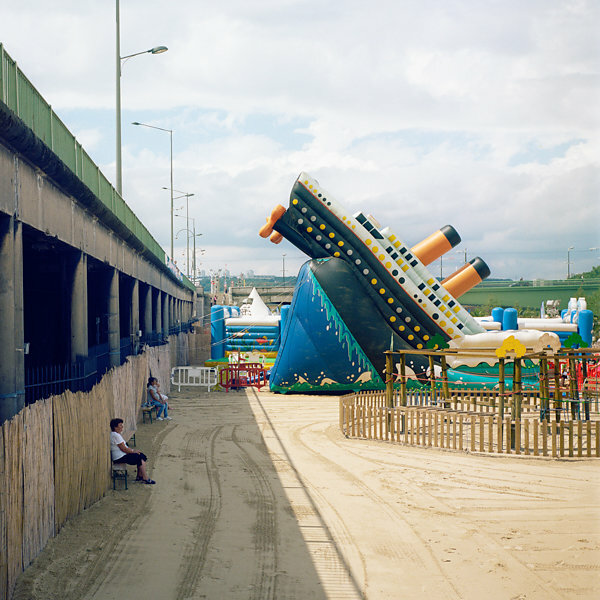 This pictures try to show this different aspects. 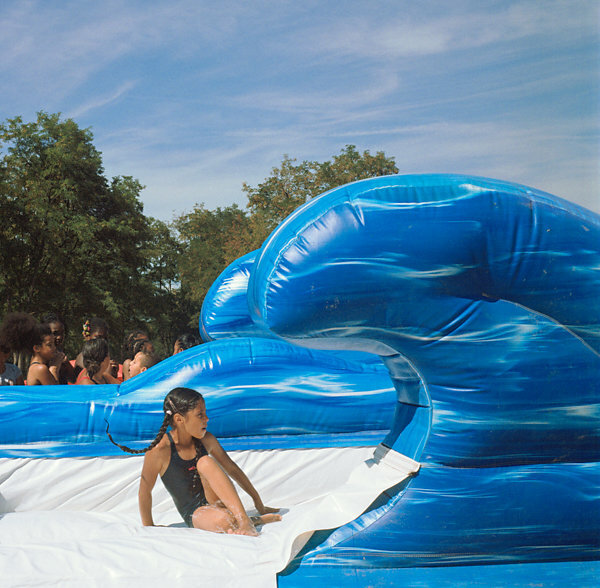 For this work, i used and old camera. 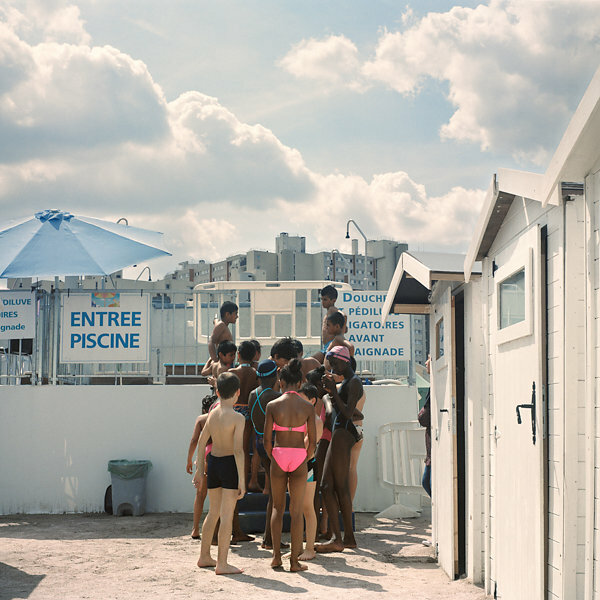 With its rendering and soft colors, it develops all the beauty and the poesy of this places, where Emmanuelle Lallemand, french ethnologist said, « people are collectively invited to play to a spin, wich consists to play to the beach without the sea ». 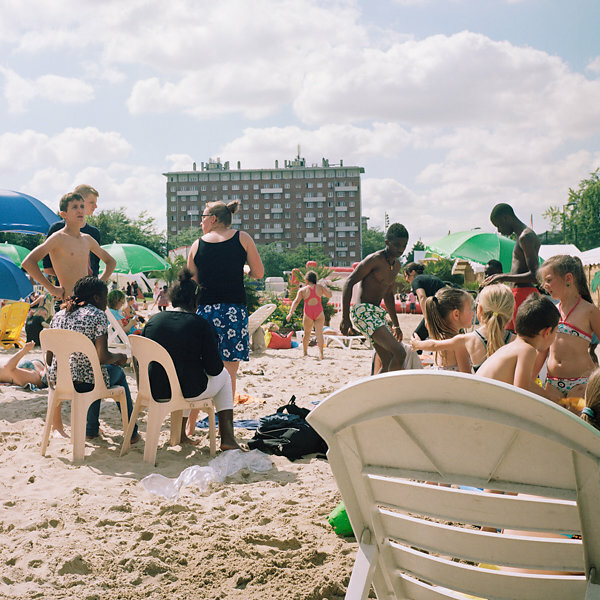 La Courneuve Plage, plage urbaine a La Courneuve. 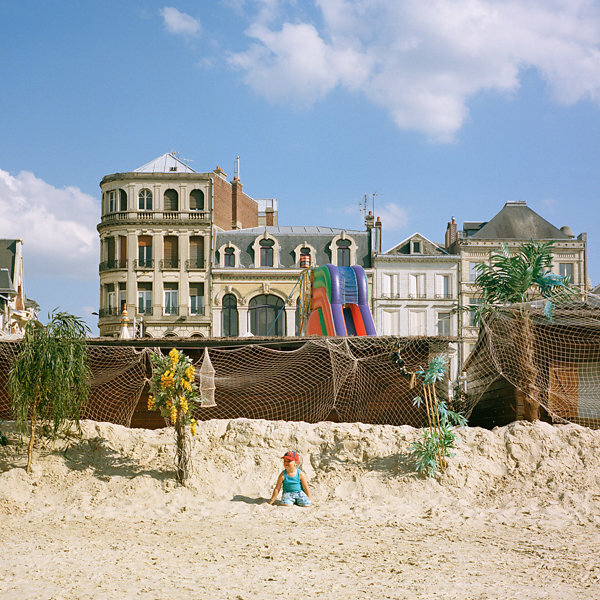 Lille Plage, plage urbaine a Lille, boulevard de Strasbourg. 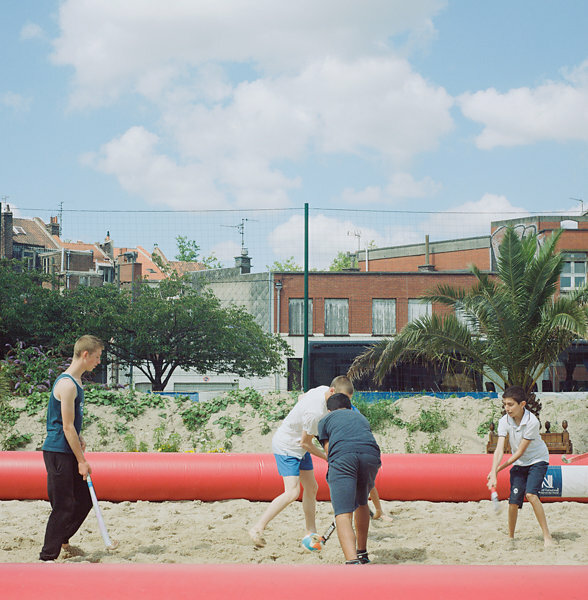 Plage urbaine a Lille, boulevard de Strasbourg. 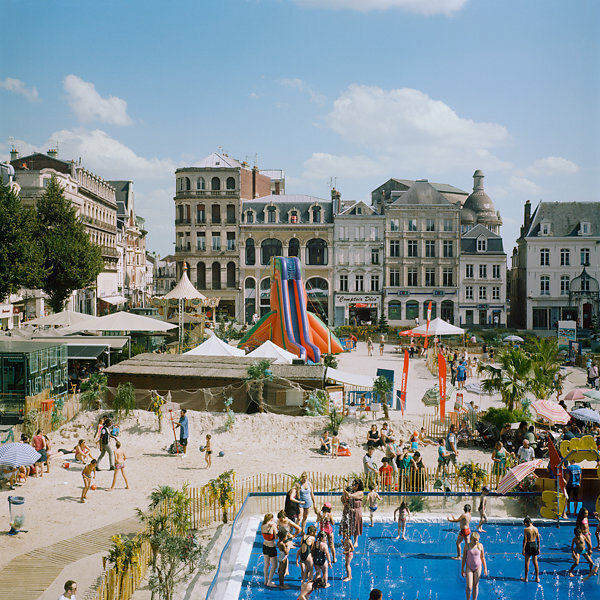 Plage urbaine a Saint Quentin (Aisne), place de l'hotel de ville. 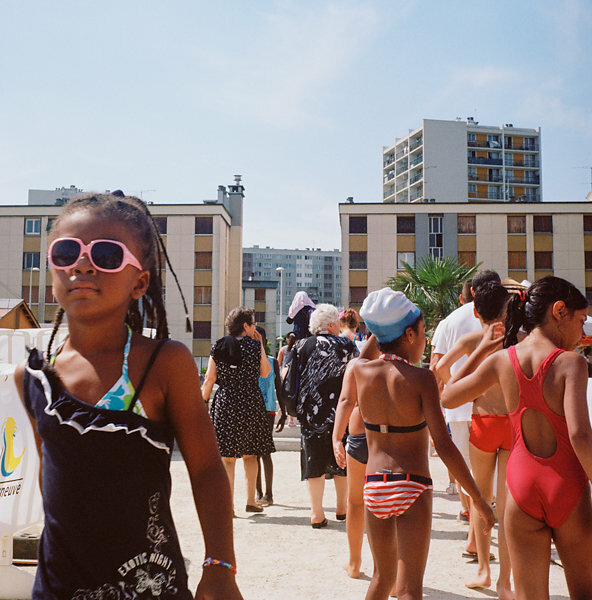 C est la plus ancienne plage urbaine de France, elle a ete creee en 1996 et a inspire Paris Plage. 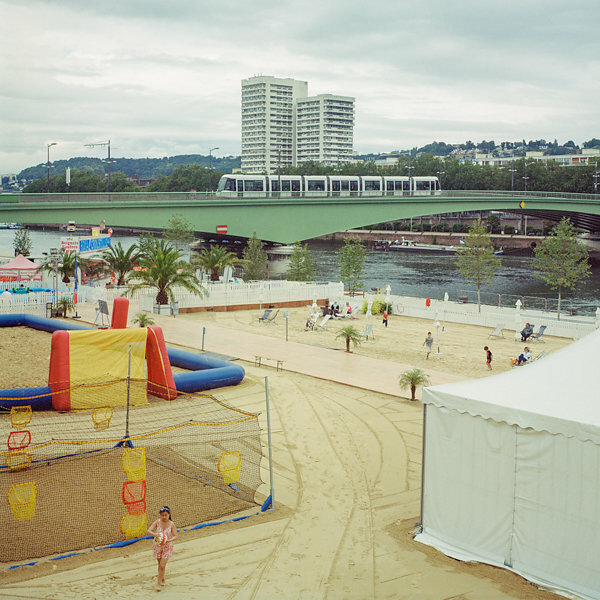 Rouen sur mer, plage urbaine a Rouen, quais de Seine. 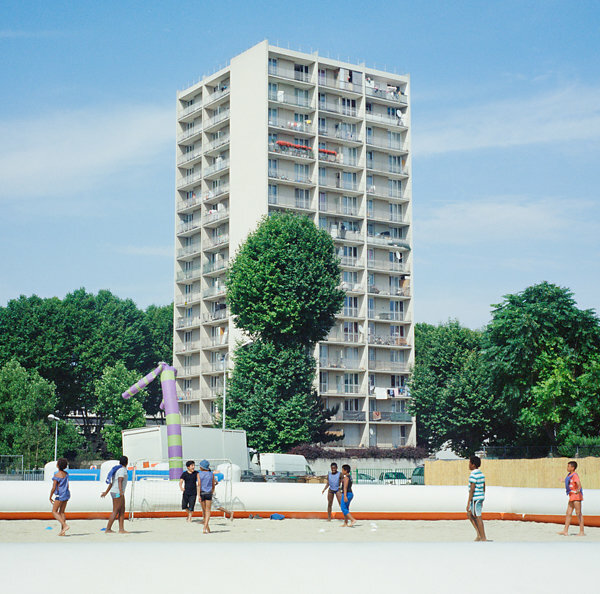 Clichy plage, plage urbaine a Clichy la Garrenne, boulevard Jean Jaures. 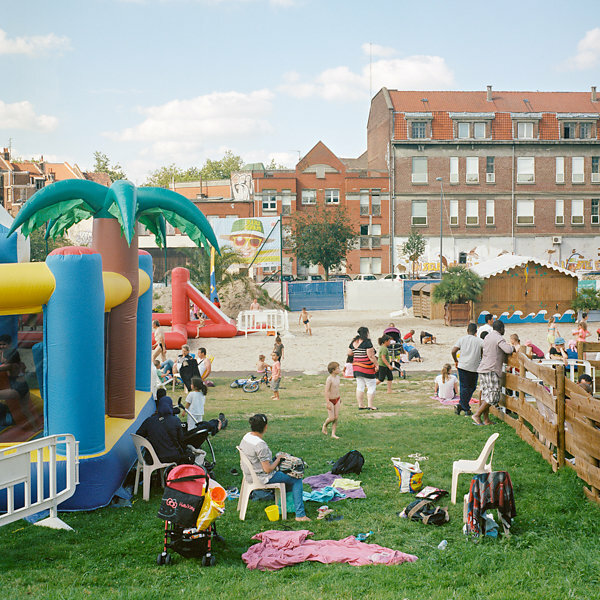 Garges Plage, plage urbaine a Garges les Gonesse, au fort de Stains. 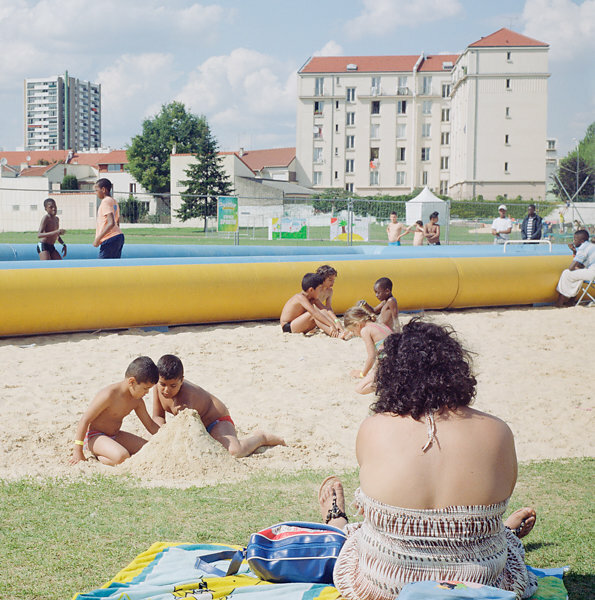 Bajo plage, plage urbaine a Bagnolet, parc de la Briqueterie. 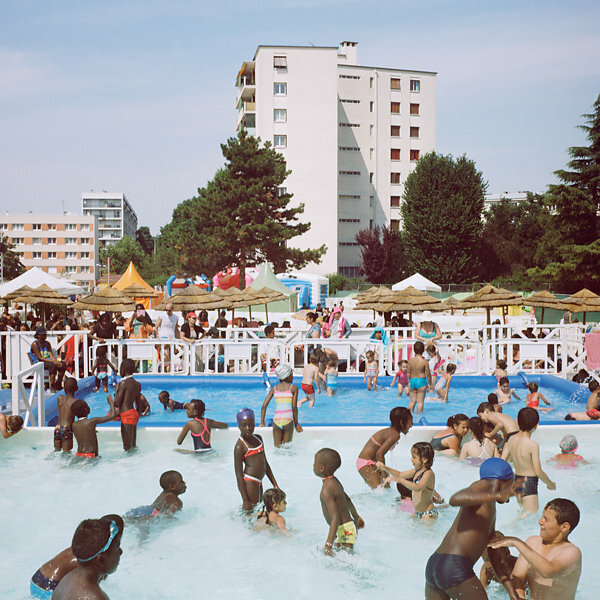 Rosny plage, plage urbaine a Rosny sous bois. 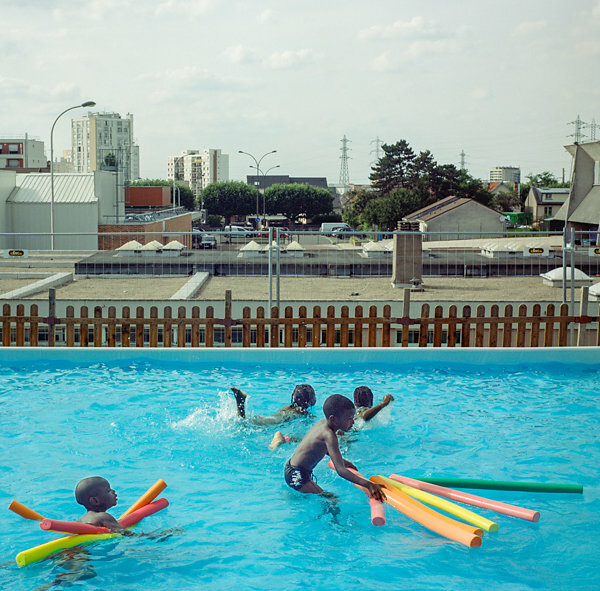 Dans l'Essonne, Janvry et ses 638 habitants ont eux aussi leur plage urbaine. 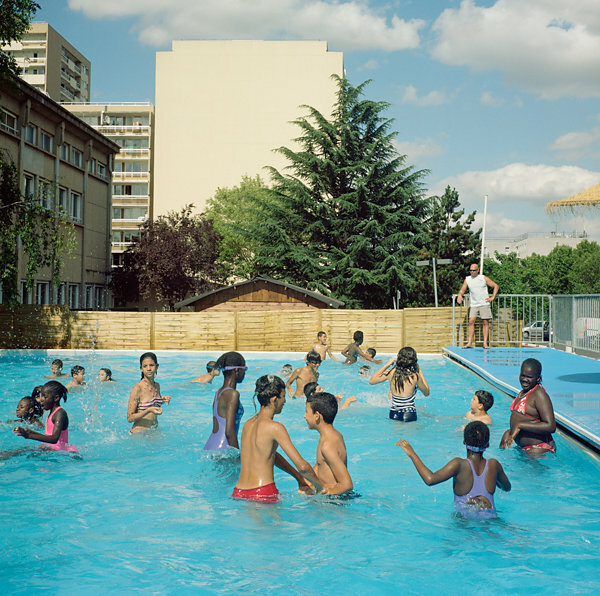 C'est la plus petite plage urbaine française.